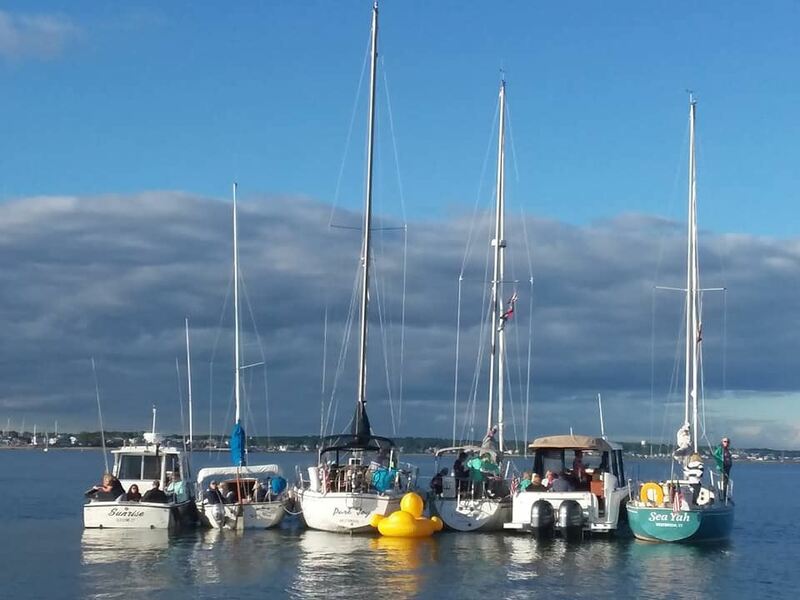 The Shoreline Sailing Club is celebrating its 38th year as the premier sailing and boating club on Connecticut’s beautiful shoreline. SSC’s general membership is comprised of active mature singles who have a desire for being on or around the water. Whether it’s Long Island Sound, Cuba, Greece, the Caribbean, Mediterranean or Aegean Sea, our skippers and their crew are a lively bunch with a great sense of adventure! 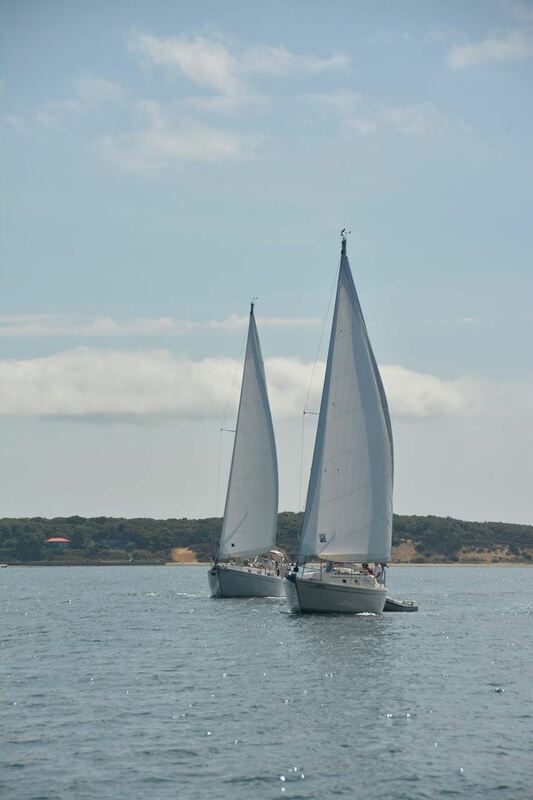 During the summer months, our fleet is cruising points east and west of L.I. 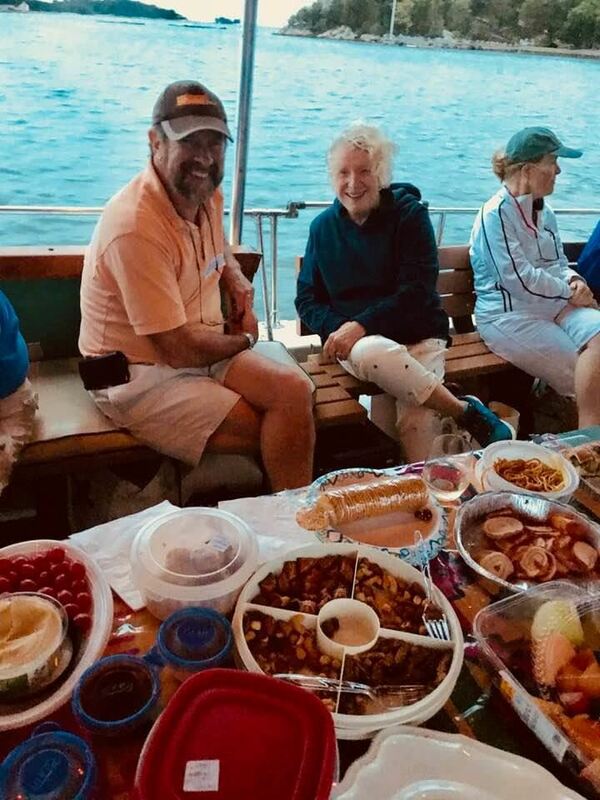 Sound, rafting up with other vessels, sunset sails, week long cruises, kayaking, clamming, fishing, hiking, picnicking and just about anything else our members can dream up. During the winter months, SSC has a very busy and active social calendar. Our Dockside and Social Directors plan theme dances, theatre/museum/movie dates, educational presentations, small intimate dinners, wine or beer tastings and game nights. Many members escape to exotic and interesting international destinations for world chartered sailing adventures. We have sail, power and fishing vessels among our fleet and our skippers are happy to share their skills & knowledge with you. We even have several USCG Captains and Master USCG Captains among us as well! We meet the 1st and 3rd Thursday of every month at 7:30. Please ‘bookmark’ our Web page or follow us on Facebook for any changes or cancellations. Thank you for stopping by to check us out, we look forward to seeing you at our next meeting, It may just be the best thing you do in 2019!